Better than new. 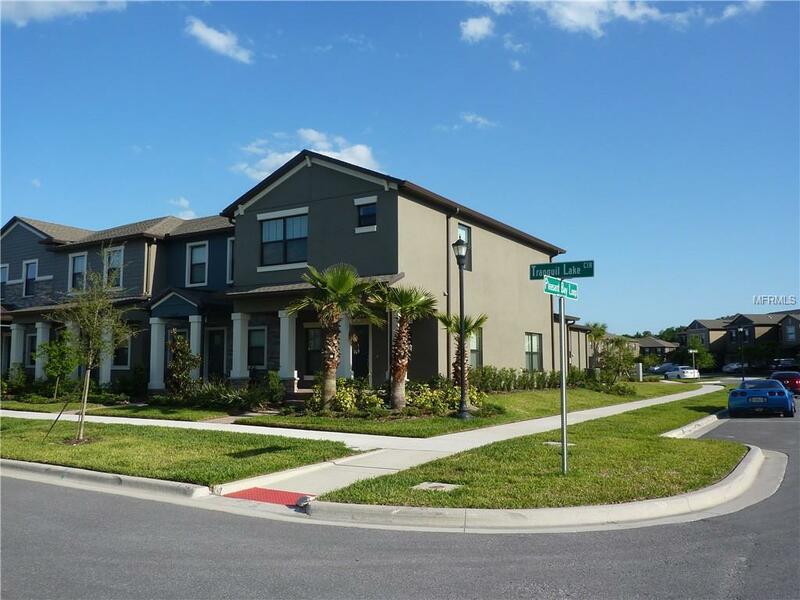 One year old 3 bedroom end unit in the sought after ARBORS AT WIREGRASS . where Location & Luxury meets Lifestyle! Located in the heart of Wesley Chapel, a short drive to I-75, Wiregrass Mall, Tampa Premier Outlet Mall and Florida Hospital. Located within the highly regarded WIREGRASS SCHOOL DISTRICT, the community has a town center feel with a variety of rear-entry garage homes, a private pool & cabana, movie picnic park, dog park & many other community park areas throughout. This Buckthorn model is a spacious open 3 bedroom plan with all bedrooms having direct access to a full bath. Loaded with upgrades including tile, granite & upgraded cabinetry, lighting & ceiling fans throughout. An attractive elevation with inviting front porch, complete with pavers. and you are sure to enjoy the quaint COVERED COURTYARD connecting the rear of the home to the garage. Situated perfectly on a corner lot backing up to a small park. This location allows for MORE GUEST PARKING than you could ever imagine with a townhome. Aside from your private garage, this lot has a 4 CAR DEEP PAVERED DRIVEWAY, plus lots of additional curbside parking. Expect a low noise factor & low energy costs with two story block on block construction. Additional Pet Fees One Time $200 Pet Deposit is Non-Refundable. Pet Restrictions Maximum Of 2 Total Pets - Dogs Or Cats Only.